I am continuing the 100 Great Perfumes series that originated from the perfumery training course I designed. The next ten fragrances display a trend that would peak in the 1980s—increasingly louder fragrances. This was an American phenomenon that first was explored by Estée Lauder in her Youth Dew fragrance and that subsequently received a new interpretation with fragrances like Lagerfeld Chloé, Giorgio Beverly Hills and Christian Dior Poison. The fragrances below also highlight a new trend that would mark the 1970s—green chypres, a vibrant combination of exhilarating green notes and the earthy darkness of moss and patchouli. Where would we be today without fragrances like Chanel No 19, Estée Lauder Alliage and Clinique Aromatics Elixir? A classical cologne that still retains its vibrancy and freshness—an elegant citrus-orange blossom accord suspended over a mossy, ambery base. It exists between the mossy neroli of Chanel Cristalle EDT and the fruity jasmine of Christian Dior Diorella. Remarkably successful and still very influential. Its bracing gin & tonic effect can be found in numerous citrus colognes on the market today from Eau de Rochas to Jo Malone Lime, Basil and Mandarine. Chamade is a love story of rose and hyacinth. Its creator Jean-Paul Guerlain was known for building his fragrances on a series of strong contrasts. To give the strong signature to Chamade, he relies on the juxtaposition of different strong sensations, from the plush richness of florals to the green bitterness of cassis. Chamade is embellished with a strong accord of green notes, while hedione infuses it with remarkable radiance. To this day, its beautiful evaporation curve and its perfect harmony fascinate perfumers. It is simply magical! Chamade subsequently influenced Jean-Paul Guerlain to create Nahéma, a fragrance in which he amplified the rose accord to the fullest. Moreover, elements of Chamade can be found in Gucci No 1, Caron Nocturnes, Rochas Byzance and Jean Patou Sublime. The green floral genre originated with Balmain Vent Vert. Yet, despite the originality of Vent Vert, its rather aggressive, bold character did not much resonate with consumers. The next (more successful) contender was Chanel No 19, an exquisite marriage of green notes, galbanum, iris and vetiver. It was the trendsetter for fragrances like Hermès Amazone, Ivoire de Balmain, Estée Lauder Beautiful, and Cartier So Pretty. A side note on galbanum, fragrance and politics. When Chanel No 19 was created in 1971, it was formulated with a superb grade of Iranian galbanum oil, which was sourced especially for this fragrance. However, when the Iranian Revolution broke out in 1979, the oil became unavailable. No 19 had to be reformulated, which was accomplished with much difficulty, because the original galbanum oil was of a particularly fine, rare caliber. Although Diorella started out as an aromatic-citrus accord reminiscent of Eau Fraîche de Dior (1952) and Eau Sauvage (1966,) a strong peach note gives it an entirely different character. With the heady touch of jasmine absolute, Diorella gains a rich and warm facet. What made Diorella influential was its interesting watery accord, which has inspired the dewy fruity notes in fragrances like Prescriptives Calyx and the marine effects in Calvin Klein Escape. Bulgari Eau Parfumée au Thé Vert is very much influenced by the interplay between the watery and floral notes of Diorella. Amouage Jubilation 25 for Women and Frédéric Malle Le Parfum de Thérèse give a taste of Diorella in its pre-reformulation glory. Alliage (sometimes spelled as Aliage) is the queen of green chypre fragrances that include such gems as Estée Lauder Private Collection, Jean Louis Scherrer, and Clinique Wrappings. Dramatic, grand and elegant, it relies on a large dose of bitter-green galbanum. The rest of the composition—the rose-vetiver structure—revolves around this explosive accord. Today, Alliage’s bitterness is somewhat attenuated; however, I still find it to be a beautiful and original fragrance. It would be an interesting discovery for anyone who loves the green chypre genre since there are very few good examples remaining. Few fragrances possess such a dramatic presence as Aromatics Elixir, an orchestration of rose and patchouli, bolstered by dark, balsamic notes and woody violets. Dusky and moody, it fills the space with an unforgettable aura. This masterpiece has influenced the creation of such excellent fragrances as Jean Couturier Coriandre, Ungaro Diva, Paloma Picasso, the original Fendi, and Estée Lauder Knowing. Still available in an excellent form. Paco Rabanne Pour Homme deserves legendary status for many reasons, not the least of which is its incredible offspring Yves Saint Laurent Kouros (1981). Among the aromatic fougère fragrances for men, it was the first to rely on the juxtaposition between the spicy woody and sweet ambery notes. The elegant leather and vetiver pairing of Givenchy Gentleman has deeply influenced the woody genre of masculine perfumery. Unfortunately, the Gentleman of today smells not at all like the original. Avoid the current wan woody incarnation and opt for Lalique Encre Noire, Frédéric Malle Vétiver Extraordinare and other dark vetiver fragrances. Chloé is the forerunner for loud florals like Giorgio Beverly Hills (1981) and Givenchy Amarige (1991.) It is essentially a voluptuous tuberose, accented with heady white floral notes of ylang ylang and daffodil. 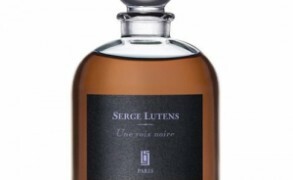 Supported by the darkness of sandalwood and oakmoss, it is seductive, opulent and striking. Today, it is the type of fragrance that might appear dated, but one cannot help but admire Chloé for its boldness. I find traces of Chloé in Hermès 24, Faubourg and Versace Blonde. Coming up next: the same year saw the launch of the first fruity-floral and the dark and controversial oriental. Photo: mimosa, a classical perfume raw material, from wiki commons. Suzanna: Brilliant article. So well written and full of fascinating detail; where else would we learn about the Iranian galbanum oil? I, too, wore Chloe. I’ve been trying to find a vintage bottle to see if I recall it as it was. Sometimes this is not the case. For instance, my vintage Rive Gauche is more powdery than I recall. Chloe was huge, but no larger than what everyone else was wearing: Opium for one. It was a day of gigantic competing perfumes and although this sounds like the antithesis of chic or of taste today, back then loud frags were just part of one’s wardrobe. It was the era of bold stylistic statement. Aliage is one that I’ve been smelling on other people recently and it smells “right” still, as it did when it seemed so effortless and chic. Even today it is as distinctive as the others on your list and perhaps more so due to its strength and unmistakable signature. OperaFan: These are some of the perfumes I grew up with, either loving or hating (Chamade I discovered more recently and started me on my Guerlain love affair). Chloe was on my want list for a long time but I never had the funds to purchase it. I haven’t smelled Rive Gauche or Aliage since the mid ’70s as a young teenager and wasn’t sophisticated enough to appreciate them. Think I would feel differently now. A year or so ago, I noticed a friend in church choir wearing Aromatic Elixir and thought she had on Mitsouko. That started a conversation where she told me it had been her signature scent for many years but she noticed the change in her most recent bottle. Austenfan: Another great list. I recently sniffed Rive Gauche. I remember owning a mini ages ago, but can’t remember the smell. I like the current one but have been hesitant to get a bottle as I might want to look for a vintage bottle. I own Diorella in modern and in vintage form ( both EDT and extrait). I prefer the vintage but the current version is still very pleasant to me. minette: what an interesting list! it’s funny, but the way they sell/sold alliage – as a “sport” scent – kinda ruined it for me. your pitch is much more effective! must go revisit it. i snagged some o de lancome a couple of months ago, and it’s just as i remember it from the ’70s, when i wore it – quite lovely. i think i missed chamade and rive gauche in their glory days, but still appreciate both. need to go find some paco rabanne… i have a feeling i would know it from the early ’80s and a favorite bf. Memoryofscent.wordpress.com: Some trully iconic fragrances in this list. Aromatics Elixir is one of those fragrances that hit you and in a second you know what it is. Whenever I am walking down the street and I smell it on someone I cannot help but turn around and wonder “who is wearing this?”. Definitely someone with a sense of personal style. Back in the 80’s it was huge but nowadays it is only a memory of what fragrance used to be. I often wear its masculine sibling, Aramis 900. But to tell you the truth, in today’s terms Aramis 900 is more floral while the original AE is more balmy. I can see myself wearing either. Victoria: It is, I just was going to write Clinique Happy first for that example and then changed my mind and included Calyx instead. 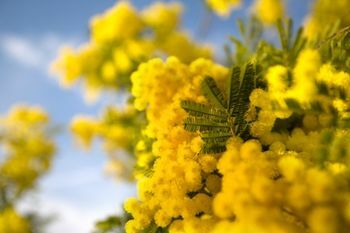 MARY: Mimosa was the flower the hairdresser put in my hair and I had in my weddingbouquet in 1982, so may years ago. violetnoir: The first fruity floral? Calyx? The dark controversial oriental would have to be Opium? Loved them both, but Opium never loved me back! Anyway, I loved RG and Chloe, the former first and then the latter when my grandmother gave me a bottle after it debuted. In fact, I have received more compliments on Chloe than any other perfume I have worn since. Crazy, huh? Victoria: You are right about Opium! 🙂 I also never wore Opium. I admire it very much, but it is not a fragrance I ever crave. Not even sure why. Alityke: What a wonderful series Victoria. I was. Teen in the 70s and adore the citric chypres from that time. Wearing Ivoire, Givenchy III and Cristalle. I failed at big florals until my 20s when I wore Opium, Poison and Byzance. No19 and Chloe weren’t for me at he time yet now I’m in love with No19 and I’m toying with the idea of a little bottle Chloe off eBay. To explore tuberose after discovering Tubereuse Criminelle. Now I am a trainee perfumer in fragrance company. All your article are very useful to me. That was said when she had mild dementia. Aromatic gave us both a lift, then we noticed the change in the formula. I thought maybe it was a bad batch and after 2 more purchases, we realized an imposter has replaced the real thing. When i sprayed it on my wrist, it was dry and showed no oil which is at least one of the things making a huge difference. Aromatic elixir left traces on everything you touched, in every room you left. That was another thing about it, the fragrance lingered on long after your gone. Lilian Krawitz: my sister in law asked me to buy Rive Gauche for her 60th Birthday yesterday = I had a feeling the fragrance would be hard to find so google it and came upon your site – what a delightful and informative site – sadly Rive Gauche is not available in Johannesburg, South Africa – so i chose Amarige instead – it is her Birthday today and I will give her the fragrance this evening – I hope she likes it.